Independant from the main building, le Fournil, (where they used to bake bread), has been organized into a “gite”. Bordered on one side by the mill river and on the other side by a wooden terrace above a second little stream, the gite has its own lawn in the shade of huge, three-century lebanese cedar. We have preserved architectural authenticity of the rooms with stones and old tiles and given them a new life with spots of colour. 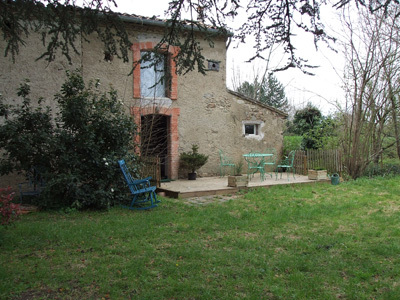 The gite is ideal for two people (eventually a third one).